Bar, 몬테네그로의 빌라 야드란 | 호스텔월드에서 예약하세요. If cancelled prior to 20 days of arrival, 20% of total amount will be charged. If cancelled later 50% of total amount will be charged. 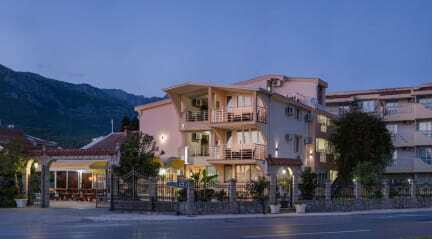 Rooms at Villa Jadran have refrigerator, air conditioning, balcony(private or shared) and satellite TV. Some units have kitchenette. Toiletries and a hairdryer are provided in the bathroom. Free Wi-Fi, luggage storage and a 24-hour front desk desk are available. Private parking is available in the courtyard of hotel. Sports hall Toplica is located 519 m from the Villa. Guests can explore the historic town center and visit the Old King Castle or the 2000-year-old olive tree. Enjoy typical Montenegrin cuisine in various restaurants close to the Villa Jadran. There is also a grocery store working until 10-11 pm. Excursions availble for Montenegro and abroad (Croatia,Albania).